This month the SkyWest Airlines InFlight and Flight Operations crews in Salt Lake City joined forces with those in the Customer Service Department to help fulfill the dreams of several local families in need. These SkyWest groups worked together to serve Safe Harbor, a crisis center in Kaysville, Utah, with a Sub 4 Santa Christmas drive. Safe Harbor helps domestic violence survivors achieve a life free of violence by providing a healthy environment. They also provide the tools needed to rebuild confidence and help these families become self-sufficient. This is the second year these crews have teamed up to help Safe Harbor and no one hesitated to jump in again this year. To help spread the word for this year’s Sub 4 Santa, a Christmas tree was set up in the SkyWest Crew Lounge loaded with ornaments. 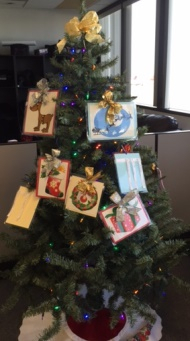 Each ornament consisted of the needs or wants of a mother and her children from their Christmas lists. Nine families were adopted and there were more than 200 items requested, including winter coats, gloves, socks, blankets, boots and shoes. 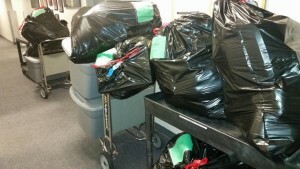 Other requested items included bikes, LEGO blocks, kitchen appliances, books, toys and games. Thanks to the overwhelming generosity of the SkyWest family, nearly all of the requests were fulfilled ahead of the Monday, Dec. 15 deadline. 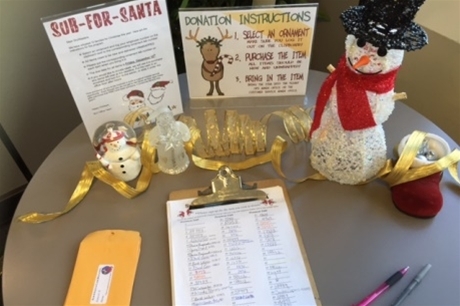 It is truly amazing to see the giving spirit of the SkyWest family as they have gone above and beyond the requests listed. A few items loaded up for the adopted families! The ability to sacrifice and help others in a time of need is an amazing opportunity. It is a great reminder of what the holidays are truly about. And the overwhelming generosity shown by these incredible SkyWest employees every holiday season is remarkable!